Eyes Above The Waves: Even More rr Replay Performance Improvements! 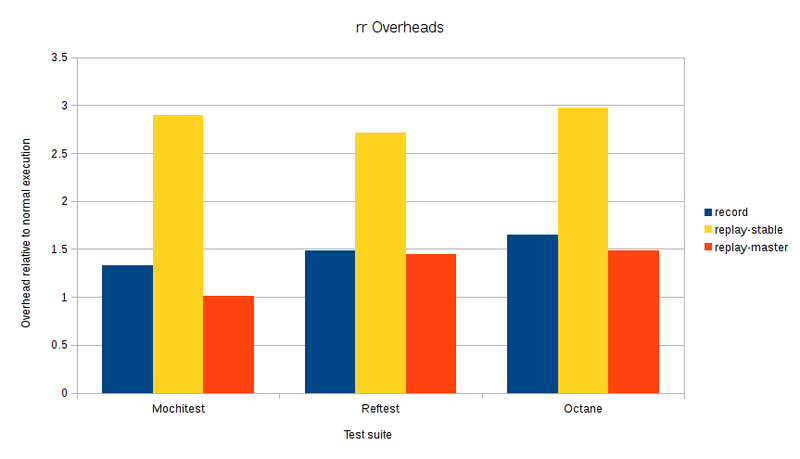 Now replay is faster than recording in all the benchmarks, and for Mochitest is about as fast as normal execution. (As discussed in my previous post, this is probably because the replay excludes some code that runs during normal execution: the test harness and the HTTP server.) Hopefully this turns into real productivity gains for rr users.